The 5th International Association for Asia Pacific Studies (IAAPS) Annual Conference took place November 27th (Thurs) and 28th (Fri), 2014 at the offices of the United Nations Economic and Social Commission for Asia and the Pacific (UN ESCAP) in Incheon, Republic of Korea. The theme of the conference was Regional Integration in the Asia Pacific Region. APU co-hosted the conference with UN ESCAP, the Ministry of Foreign Affairs of the Republic of Korea and the Incheon Development & Tourism Corporation (IDTC). IAAPS President SAKAMOTO Kazuichi, also the Founding President of APU, began the conference with his opening remarks. The conference then continued with keynote speeches and panels addressing the research themes of security, regional cooperation, resource management, environment, politics, economics and tourism in the Asia Pacific. From APU, seven faculty members, including the IAAPS directors, participated in the conference and several APU graduate students gave presentations. UN ESCAP and the Ministry of Foreign Affairs of the Republic of Korea specially provided travel subsidies that enabled 17 young researchers from the Asia Pacific Region, including APU students, to participate in the conference. This year's conference gathered a total of 150 attendees, the highest number in the conference's history, and ran smoothly for the two days of the program. Next year the conference will take place at the University of Indonesia in Depok, Indonesia. 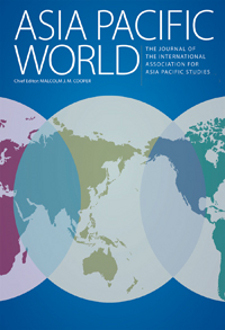 The International Association for Asia Pacific Studies was founded in 2010 with the aim of cultivating and promoting Asia Pacific Studies and becoming a hub of knowledge accumulating and disseminating research about the various regions in the Asia Pacific from a range of academic fields. IAAPS continues to endeavor to contribute to the development of the Asia Pacific by inviting participation from researchers and students around the world.